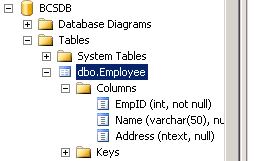 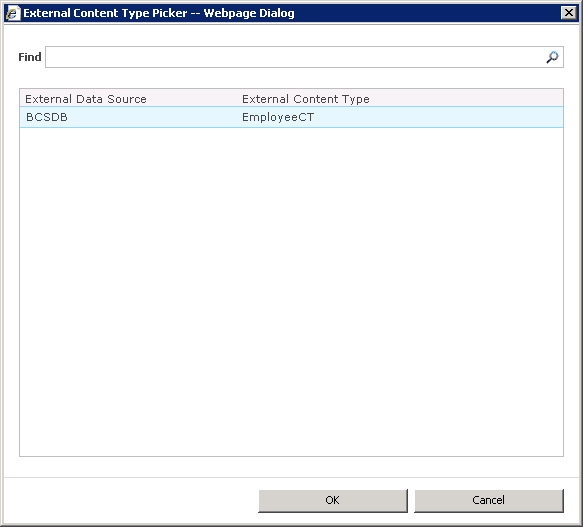 I have created BCSDB database and a sample Employee table with three columns. 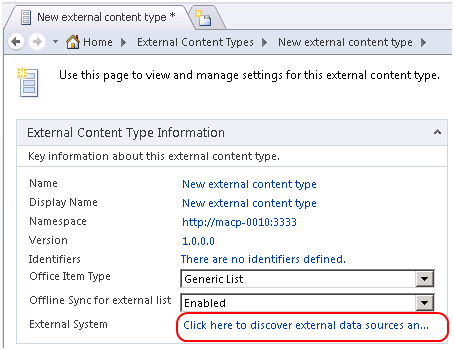 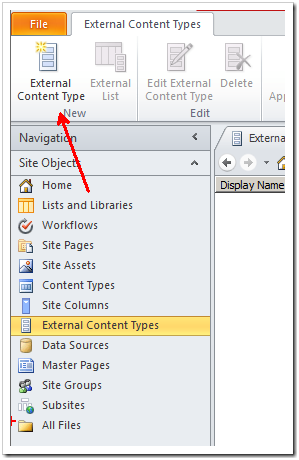 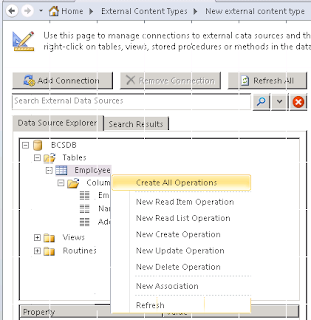 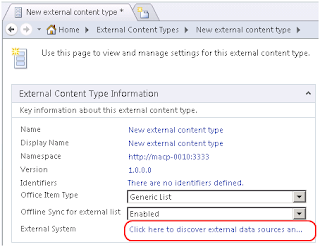 Provide all required data with content type name and click on External System link to create connection to attach content type with external data source i.e. 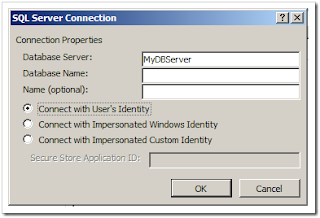 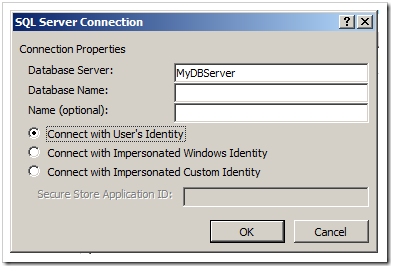 SQL Server database. 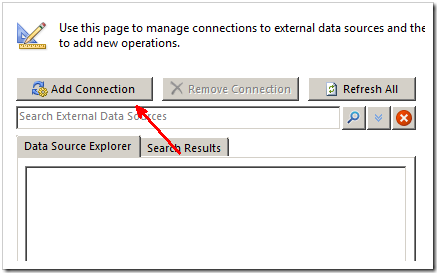 Click " Next" to get to the Parameters page and then click on finish button. 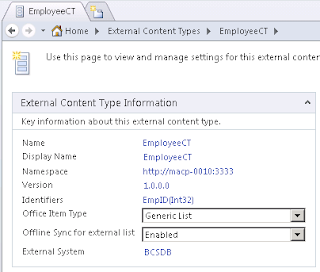 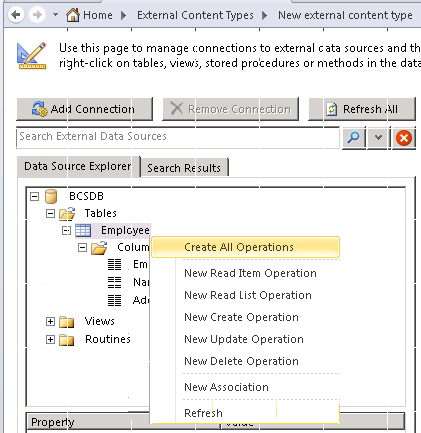 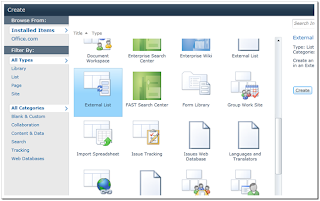 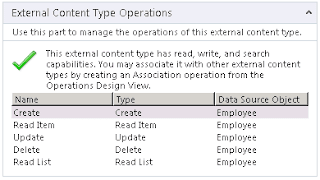 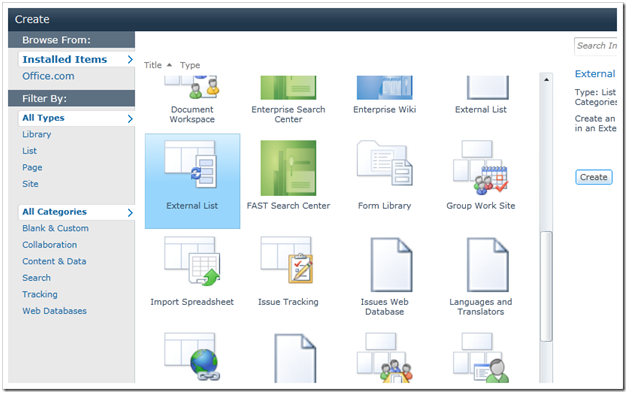 Select your created External content Type and press OK.
That’s it, Your External list is created and now add/update/delete items from Employee Details list and these changes will be reflected in list as well as in Database. 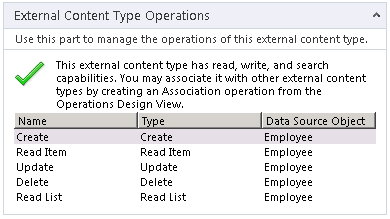 User will be unaware of the backend processing.